Wow, thanks for all the work you're putting into improving my deck, really appreciate it! I haven't really seen those problems you had with Phyresis and Skittering Skirge , which might be due to different playstyles. This deck is made to be completely reckless, to win before the opponent can play removals, and it rewards a similarly reckless playstyle. So you're not supposed to play more than one creature unless there's nothing else to play, so the Skirge's negative ability or the different "life totals" tend to not be an issue. It can sometimes happen, but for Phyresis, I think the tradeoff is worth it, as you can generally win in just two attacks. I somewhat agree on the Skirge though, it is pretty much my least favorite card in the deck. I actually lost my first real game with this deck due to it, since it can be blocked. I like your point about having creatures with a different way of being hard to block, and will be replacing some of them with Highborn Ghoul . 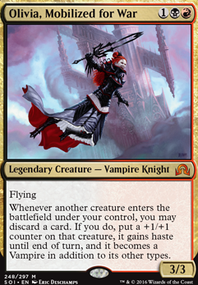 I don't like Guul Draz Vampire as it isn't unblockable early on, and Stronghold Confessor is easy to block later. They make more sense in your version of the deck of course, since you use instants and it doesn't hurt as much to switch from one to the other. Could benefit from equipments too, actually. I considered sorceries/instants, but feel like they just reduce speed too much. Still, a few of them might work? I'm especially partial to Unnatural Endurance which you put in the Maybeboard, as it can additionally be used to save one of my creatures. The question is, is it better than Thrull Retainer ? I think it might be, but it's really close. 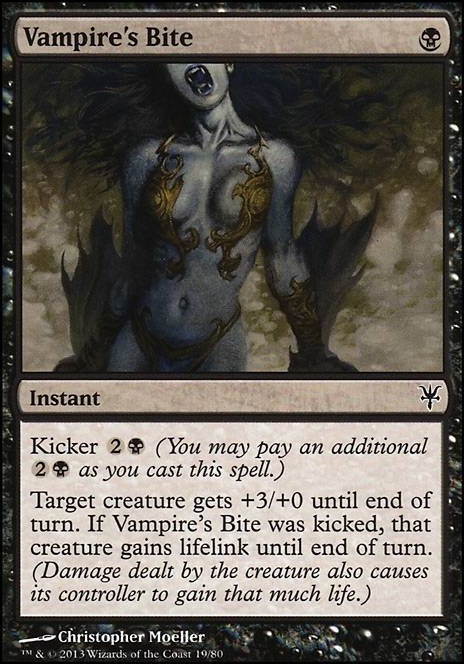 Vampire's Bite is also nice, but I think I really want to keep the number of sorceries/instants low. I do think your version of this deck is pretty nice, sacrificing some speed for long term viability, but it would probably benefit from keeping at least 50% of the buffs enchantments. It would also suffer against other very fast decks, so at least some defense would probably be good? Although the sideboard can still deal with that, without much change. Another thing I'm considering is to put one more Gitaxian Probe in there, and even two Street Wraith . Basically enables me to take out some of the lesser cards, without costing Mana or taking up space in my hand. They cost life, of course... but I guess recklessly using life as a resource for tiny gains is just my playstyle. Might be a bad idea, but it's fun. Nice deck! Shadow Rift , Aqueous Form and Distortion Strike might be good alternatives for Ghostform , as they're cheaper and all have other potential advantages. Also, Demonic Appetite and Vampire's Bite might be nice as an alternative to Unstable Mutation if you happen to not draw it at the right time. Could potentially replace Supernatural Stamina , Carrion Feeder or Vapor Snag ? Especially Carrion Feeder doesn't seem all that useful, as this deck doesn't seem to have all that many weak creatures to sacrifice. You might also consider one additional Dark Ritual to get those Mortis Dogs out as early as possible. +3 Dreadbore or Vampire's Bite maybe? That would give you a pretty decent aggro build! kill threats, smash face. Nice and simple. One of my favorite cards in mono black is Vampire Nighthawk. I would play four because its so versatile. Might help you with offsetting some of the cost of cards like Phyrexian Arena and/or Necropotence if you decide to run that card. I think I might run two Necropotence/Phyrexian Arena if you had the option, just for a more consistent chance at drawing it. Vampire's Bite is also a nice card to get some life link for the turn. Eternal Thirst is pretty cool too. As far as cuts, I would say Sol Ring, Aether Vial and Spinning Darkness would be my first ones just because you only have 1 of each. How often do you find yourself in need of that mana when you are running twenty lands and the four dark rituals? Vampire's Bite but Mutagenic Growth is way better because it's free. I think without a really strong target like Invisible Stalker or maybe a trick like Cinder Elemental, Tainted Strike will be worse than just playing a strong infect creature to begin with. 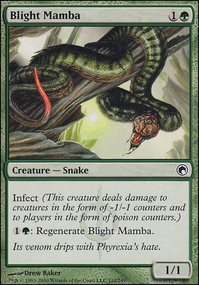 If you run more Plague Stinger, Ichorclaw Myr, Flesh-Eater Imp, Hand of the Praetors, and swap Contagious Nim for Phyrexian Crusader or Razor Swine, you'll be more resistant to removal and won't have to spend cards just to gain infect. You can use that mana instead on cheap pump spells like Titan's Strength and Vampire's Bite. If you do stick with the Strike, I'd probably go all in on creatures that benefit from it. Vexing Devil, Goblin Guide, and Monastery Swiftspear would be the usual suspects, but I have always wanted to test out Immolating Souleater myself. 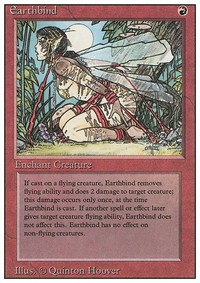 Grafted Exoskeleton could probably be replaced by or supplemented with Phyresis to speed things up, and I'd also look at Rogue's Passage for Whispersilk Cloak redundancy if flying isn't strong enough evasion. It's always nice to see a mono black Vampire list. I used to run one myself before I repurposed the deck into others, and seeing them brings nostalgia. Out of curiosity, have you considered running B/R for the deck to be better competitively, or are you certain that you want this to be a strictly mono black build? Regardless, just a couple thoughts. Consider running more 1 CMC cards to give yourself turn 1 plays. 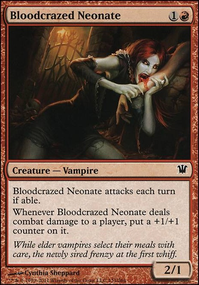 Whether it be more removal, more buffing/utility spells, or more creatures, Vampires as a tribe prefer aggressive builds that start quickly. Creatures: A card I enjoyed running was Pulse Tracker, but I know popular choices include Vampire Lacerator and Guul Draz Vampire. 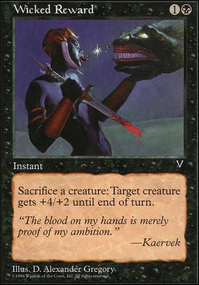 More cheap creatures would make it easier to utilize Captivating Vampire and Feast of Blood. Spells: Additional hand disruption via duress-like effects (you know the list, I don't need to list them). Additional cheap and effective removal such as Ulcerate or Fatal Push (more Dismember effectively fills this slot too). Some stragglers to consider replacing include Child of Night and Vampire's Bite. Also, wanted to point out that I love the synergy with Quag Vampires and Contaminated Ground. Thanks, ektoe253, for the good suggestions. Vampire's Bite makes for a nice combat trick for extra damage or killing something that needs to go. The ability to get even more value out of it mid-game makes it sweet indeed. Eternal Thirst would help give me staying power and grow my forces a bit as well, both of which this deck needs. Gifted Aetherborn looks very nice indeed. It's almost Vampire Nighthawks 4-8. One cheaper for no flying. I see real value here. 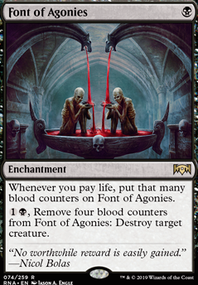 It would fit very nicely in my Mono-Black Devotion deck for the same reason that the Nighthawks do.